Key Difference: A resistor is an electronic component which offers or implements electrical resistance. It is widely used as a circuit element. 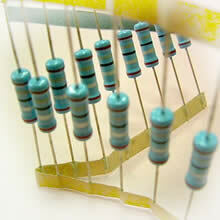 Resistors are usually of two types –fixed and variable resistors. Resistance of a fixed resistor cannot vary like in the case of a variable resistor. 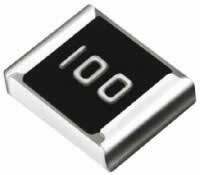 Carbon Film – These resistors are made from a ceramic carrier which is surrounded by a thin pure carbon film. This thin film acts as a resistive material. They are usually used in high voltage and temperature applications. These resistors are manufactured through the deposition process. The resistance value of the resistor is regulated by changing the carbon to insulator proportion. Metal Film – These resistors are made by a ceramic substrate which is surrounded by a thin film of metal. Later, this coated substrate is cut into a spiral type of body structure. The characteristics of this metal spiral like width, length and thickness defines the resistance offered by it. 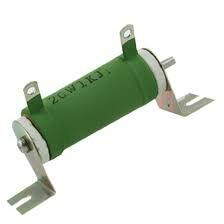 They fall into the group of widely used axial resistors. 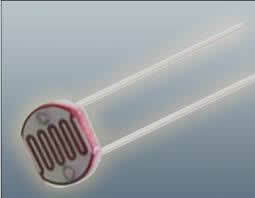 Wirewound – These types of resistors are mainly used in high power applications. 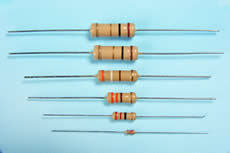 Resistive elements of these resistors are usually length of wire. They are formed by wrapping wires made from alloys like nickel or Manganin on the small ceramic or glass fiber rod. It is coated with an insulating flameproof cement film. They are known for their reliability shown at high powers. Surface mount – These are based on the surface mount technology. They are usually constructed by employed thin film technology. They are made by depositing a film of resistive material on small ceramic chip. They exhibit very low power dissipation. They are mainly used for achieving high component density. Potentiometer – This is the most common type of variable resistor. It works as a potential divider and is employed to create a voltage signal depending on the placement of the potentiometer. It is a three terminal variable resistor. It is capable of offering a wide range of resistances. 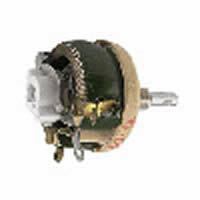 The potentiometer knob is used to adjust the resistance. Rheostat –Unlike potentiometer, it is a two terminal variable resistor. Their construction is like the construction of potentiometers. However, they are not employed as a potential divider but like a variable resistor. 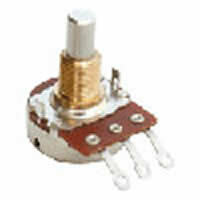 If the third terminal is left unconnected, then a three terminal potentiometer can also be made to work like a rheostat. Photoresistors – These resistors exhibit different resistance values depending upon the light falling on the surface of the resistor. Thus, optical radiation is responsible for changing the electrical conductivity in the case of photo resistors. They offer high resistance when they are placed in dark environment, whereas in the presence of intense light striking on its surface the value of resistance decreases.